Dr. Joshua Schwimmer is a nephrologist and internal medicine doctor a kidney and blood pressure specialist and general medical doctor for adults based in Midtown Manhattan, NYC. With over 15 years of clinical experience in nephrology and general medicine, Dr. Schwimmer receives outstanding reviews from patients of all ages. In 2014, Dr. Schwimmer was recruited to join the full-time medical staff of Lenox Hill Hospital and Northwell Health Physician Partners. In practice with Dr. Mark Gardenswartz, Dr. Schwimmer sees patients at his East 59th Street office and hospitalized patients at Lenox Hill Hospital. As a doctor s doctor , Dr. Schwimmer is trusted to provide care to many physicians and their families. As a believer in using technology to improve health care, he offers all patients free, secure communication by email. An award-winning physician-teacher, Dr. Schwimmer trained with Dr. Gerald Appel at New York-Presbyterian Hospital and the Columbia University College of Physicians & Surgeons, Strong Memorial Hospital, and the University of Rochester Medical Center. 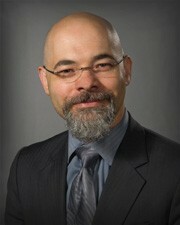 Prior to being recruited by Lenox Hill Hospital and Northwell Health, he has held appointments on the faculty of the Mount Sinai Medical Center, the Columbia University Medical Center, and the NYU School of Medicine, and he has published more than 25 scientific papers, abstracts, and book chapters. Dr. Schwimmer is a fellow of the American College of Physicians and the American Society of Nephrology. "The best in all aspects"
"Dr Schwimmer was extremely thorough, knowledgable, and interested in my health situation"
"my experience was excellent from start to finish"
"Excellent doctor with great concern and follow up skills -"
"Always happy to receive a nice cup of coffee from my doctor." "confidence very high. travel 100 miles to see him." "I've recommended Dr Schwimmer to quite a few people already. Great physician and even greater personality"
"My doctor is a very good doctor he cares about his patient very much. " "Dr. Schwimmer is caring, shows concern, doesn't rush you and is very respectful and professional." "8. Excellent. 9. Very high. " "I gladly recommend Dr. Joshua A.Schwimmer his care and dedication to the wellbeing of his patients is undeniable. I am so grateful for him." "He is taking over the role of a very prominent doctor how was previously providing me care for decades"
"Very happy to have found Dr Schwimmer after many years of dissatisfaction in NJ. He is very thorough and compassionate." "He's a wonderful, empathetic MD." "For me, Dr. Schwimmer is the best. " "Dr Schwimmer is the Best." "Thank you no questions or worries." "This Doctor is by far the best doctor whom I have ever seen." "Joshua Schwimmer, MD, FACP bedside manners is beyond the scope of practice in medicine. He demonstrates professional medical knowledge in all aspect during patient examination, reviewing lab, medication with side effect. I am more than grateful & satisfied with his healing hands. 1-10. (OUTSTANDING.) "
"Dr. Schwimmer always very helpful"
"Excellent. The first visit and he was very much what I had heard from others." "Dr. Schwimmer is fabulous in every way, professional and personal. He is terrific. He explains carefully with great consideration - I have complete faith in him." "I had a better opinion of this dr the first time we met a few years ago . this last visit I was leftfeeling uncertain like he didn't even listen to me or care about what I felt I was going through . I will not be returning"
"Dr. Schwimmer is the only dr. that brought mine pressure down!!!!!" "Dr. Schwimmer is one of the best doctors I've ever had. I've already recommended him to others." "dr. Josh is top-notch he explains things to you so that you can understand very nice very kind very comfortable to deal with"
"Dr Scwimmer is an exceptional care provider. He takes the time to reveiw past notes. Asks appropriate questions in a sensitive way and provides excellents explanations." "Dr. Schwimmer has always spent as much time discussing my medical needs as necessary. I've never felt rushed." "Joshua A. Schwimer MD, is a very professional with medical knowledge in every capacities. We feel SAFE AND TRUST during his presence with all information. I have recommend a friend & family member due to his dynamic medical care. At Lenox Hill should be #1 on East coast. " "The best. 1. Joshua Adam Schwimmer "
"Considering that the doctor was "covering" for my regular doctor, he was as invested as though I were his regular patient. #4. There were no changes. #7. I'm pretty familiar with medical terms! " "Joshua Schwimmer MD is a very trustworthy professional doctor with empathy, outstanding bedside manners & medical knowledge. #1. Outstanding with professional medical knowledge. #9. Outstanding. #10. Sisters friends neighbors. " "Dr. Joshua Schwimmer gets the highest recommendation possible!" "He's the - provider is smooth kept me at ease. Not one thing unpleasant to say about this provider." "Dr. Schwimmer was very good"
"Too early to tell only had 2 visits. But good so far and will continue to visit in the furure." "Very pleasant, knowledgeable, easy to talk to you." "Dr. Schwimmer is an outstanding physician with whom I have the utmost trust and respect." "Dr. Schwimmer is caring, accessible, knowledgeable and approachable. I would, and have, recommended him to friends." "Dr. Shwimmer is a very caring and understanding man. He listens very well and makes you feel comfortable and confident that you will be okay. He is an excellent physician and I have recommended to him plenty of people already"
"Could not be better. We talk about me, my health and we talk medicine as I'm a veterinary specialist." "Dr. Schwimmer is very thorough & shows to care about patients." "The dr. staff & office are absolutely excellent he saved my life." "Dr. Schwimmer is available to me via phone, e-mail & even via text. I am grateful for him." "Schwimmer was great. Careful, inspired confidence." "Total confidence in his care." "Provider was pleasant, patient & listened to my concerns seriously & respectfully. I felt heard & very much a partner in my own care. I did not feel rushed and felt this provider sees me as a person, not just a medical case." "He is a caring doctor who is very knowledgeable in his field." "In general, the doctor was good." "I've already recommended Dr. Schwimmer to others." "This is an excellent doctor, exceptional listener who remembers my medical history." "Dr. Schwimmer is one of the best in the field of Nephrology. I've been seeing him for the last 8/9 years. He is easy to communicate. He uses all electronic media to get 24/7 access. I always receive a respond withine 24 hours of my questions.He is always very compsed and focused. I love Dr. Schwimmer." "D. Schwimmer is excellent in skills, explanation & communications." "The care provided by Dr. Schwimmer was excellent. I was very pleased and confident of the care he provided." "Dr. Schwimmer is excellent and a fantastic..."
"I have already sent friends to doctor." "I have already recommended and all are very satisfied."